no body never mind, 003 is part of the project NBNM, which consists of three pieces addressing the themes body / mind, outside / inside, emotion / feeling, me / others. 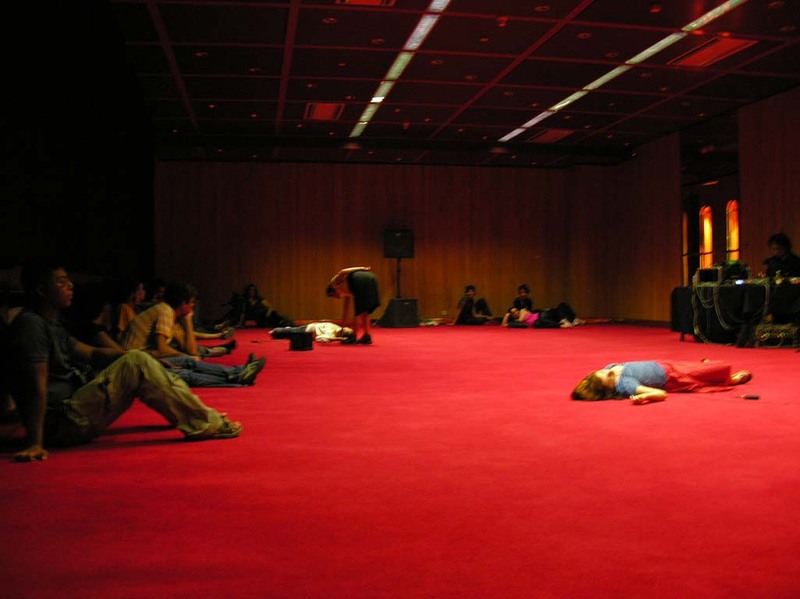 no body never mind, 003 is a performance/installation for two performers and one sound artist. 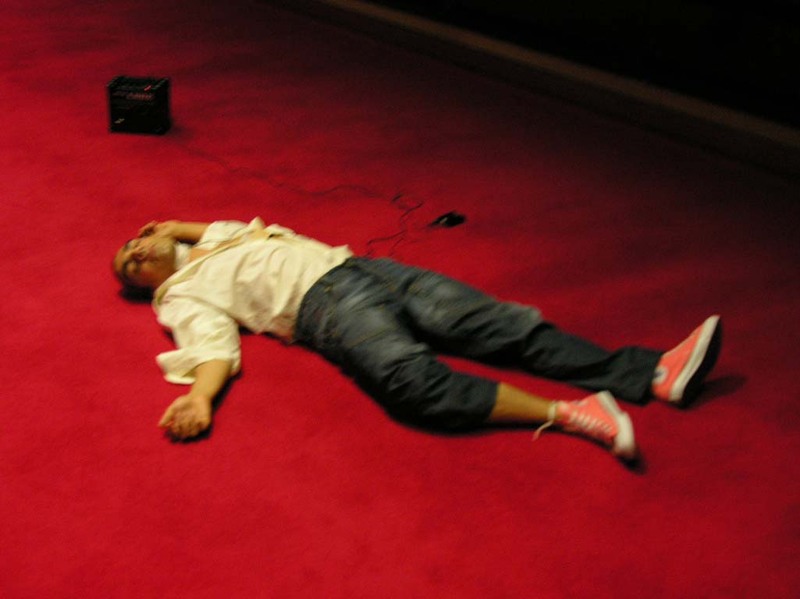 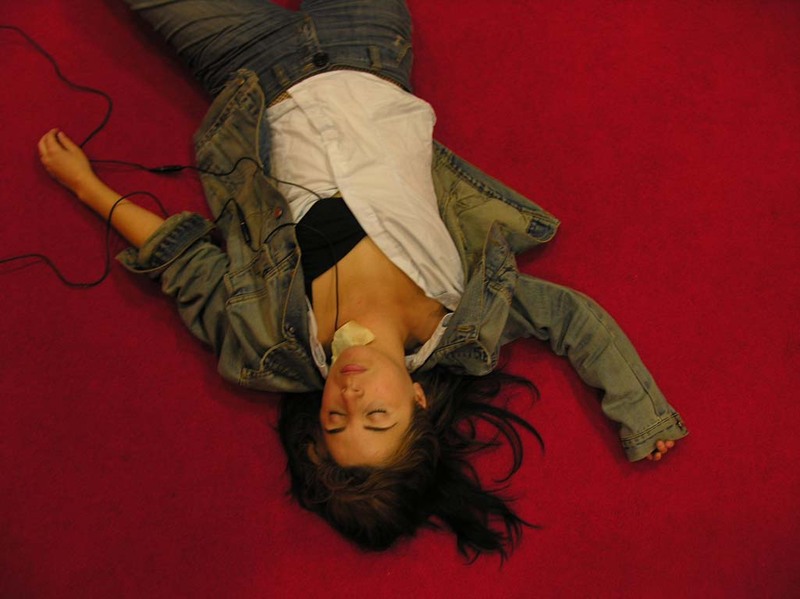 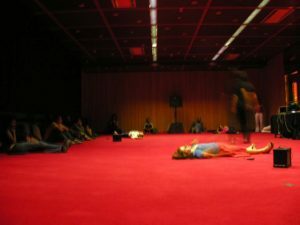 The performers are lying down on the floor, with their eyes closed, in what appears to be a random chosen position, rather motionless. 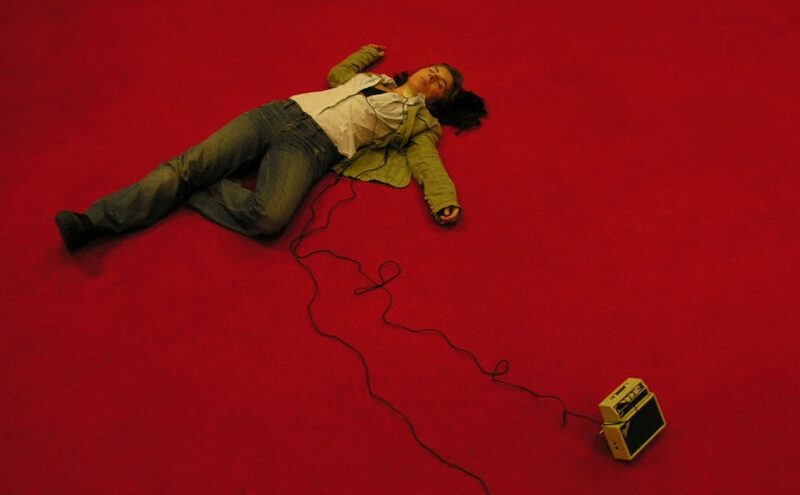 Each of them has two microphones attached to their bodies: one on the throat (making live sounds of breathing, swalling, gigler, etc) that goes to a guitar amp, and the other on the chest (heartbeat and stomach live sounds) goes to a PA and is manipulated by the sound artist. 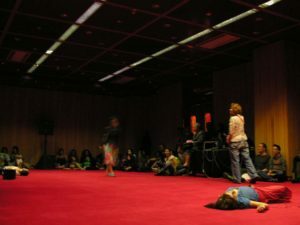 The audience can walk around or lay down on the space. The two performers are separated in the room, which means that each sound is closer to the performer who produces it. 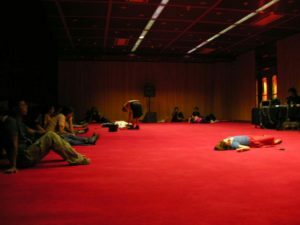 So the audience can percieve which sound is produced by which performer. In no body never mind, 003, the sound of the body is transformed into a soundscape echoing with our own perceiving of the body: fluids, pulsations, circulations, streams. 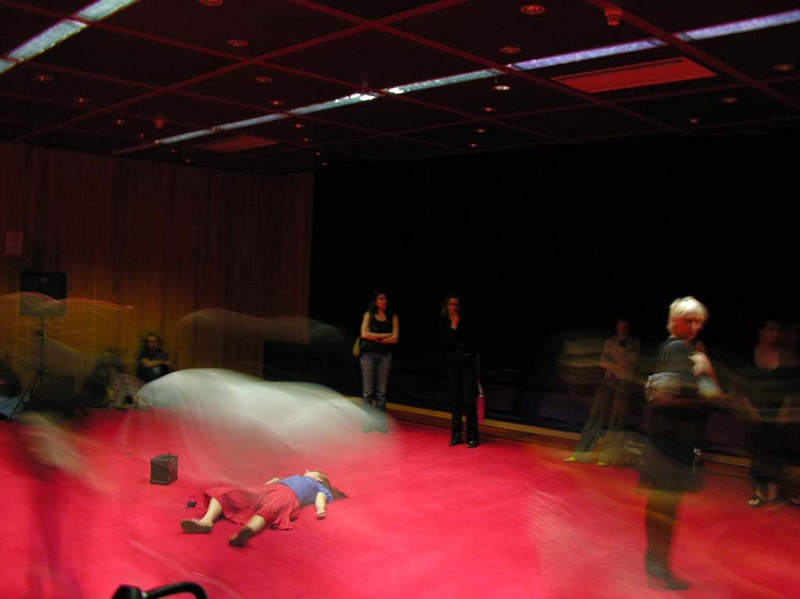 In this project we are interested in exploring, through sound, the relationship between the social and the biological body in contemporary society, concentrating on the relationship between the spectator and the work. 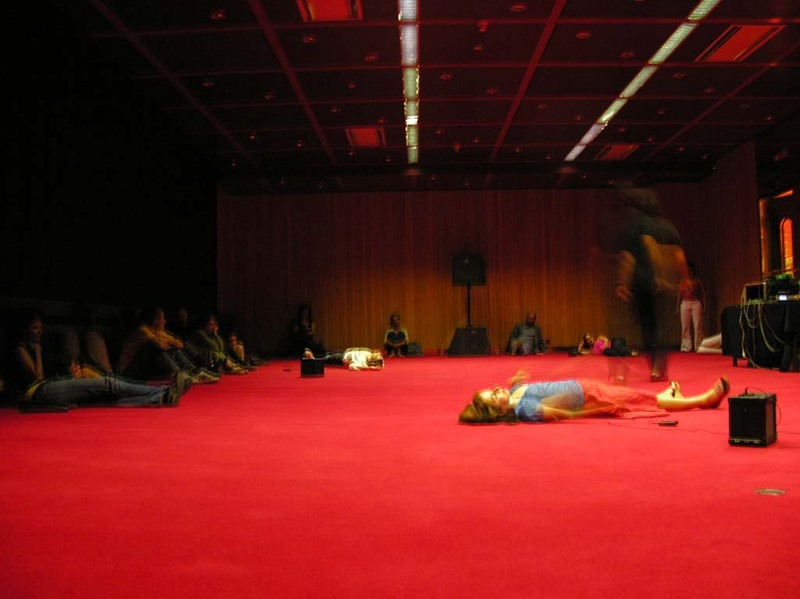 Thanks: Bojana Bauer, Helena Inverno, Jorge Bragada, João Fiadeiro, João Garcia Miguel, Marie Mignot, Patrícia Leal, Pedro Costa, artists in residence in lab 12.2 / atelier re.al.